Recently, there has been a lot of controversy concerning many people. His travel ban has even been called a Muslim ban because of the many Muslims not able to enter the country after the ban. The ban was originally stopped by a judge who deemed it not right. The ban after a short while has now been updated. The ban is being criticized by many people including the seven countries that are actually on the ban list. The United Nations is also openly against the ban. The ban was signed by Donald Trump on Monday and the ban consists of six mainly Muslim countries. The order is was presented as a way to strengthen U.S border security and possible the nation's security as a whole. Today, however, two nations Sudan and Somali said that the move was unjustified and are feeling the same way that many other people seem to be feeling. 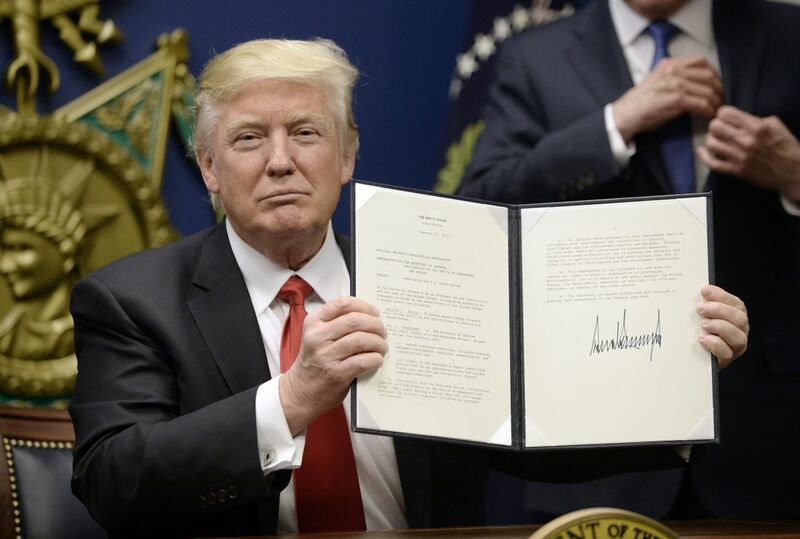 Th directive of the move includes a 120-day ban on refugees. This takes effect on March 16, 2017. 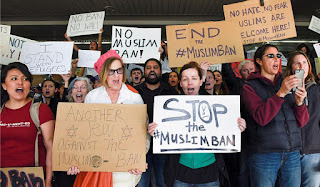 This new order is following a previous order that was blocked by a federal court and sparked mass protests and confusion at airports all over the country. John Kelly, who is a secretary for the Department Of Homeland Security said: "The fact remains that we are not immune to terrorist threats and that our enemies often use our own freedoms and generosity against us." Attorney General Jeff Sessions said that there were at least 300 refugees under investigation for possible terror offenses, however, no more information was given. It is also said that three of the countries on the ban list were state sponsors of terrorism. The reactions, however, are not very good and people know it. Take a look at the public, they're pretty angry many citizens in the U.S are going to be protesting the decision. Not all the nations that are on the list have reacted to the ban yet and many are still waiting on the response of those nations. The Somalia's president Mohamad Abdullahi said that 150,000 Somalis in the U.S "have contributed to the U.S economy and the society in different ways, and we have to talk about what the Somali people have contributed rather than a few people who may cause trouble." Sudan's Ministry Of Foreign affairs spoke of its "deep regret and discontent" the statement went on to say. The order also makes a cut in the total amount of refugees that the United States plans to take in a resettlement program from this year 110,000 to 50,000. The united states were originally seen a model for how refugees should be treated and that this should continue said The United Nations Refugee agency. "Americans have long played a crucial role in promoting global stability while simultaneously exemplifying the highest humanitarian ideals," the UN High Commissioner for Refugees Filippo Grandi said. "This is the gold standard in refugee protection and a powerful model for all countries," he added. "At a time of record-high levels of forced human displacement, this kind of humane leadership is needed more than ever."